for the past few weeks here in utah we have been seeing single digit & even negative temperatures! the other day i was by myself at home & realized that i hadn't left the house yet, but i was wearing my ski jacket inside. that right there is cold! 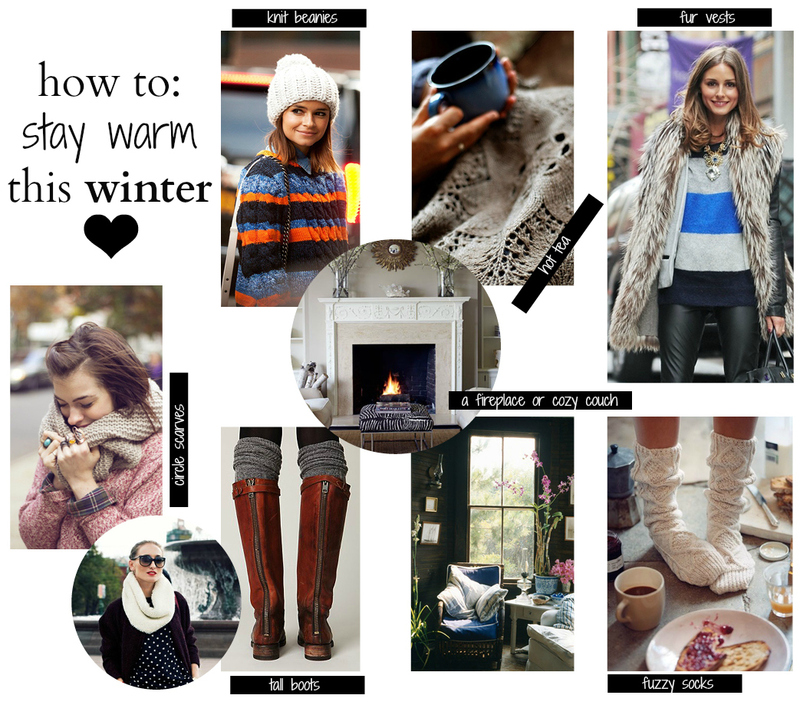 so in honor of these chilly temps i have put together a guide to staying warm!! these are my GO TO items during the chilly winter months in order to keep warm. love this Jenna, so cute! This post is so cute!!! I really need a knitted hat in my life. I hate that y'all are having such a cold winter! I can't imagine. Tennessee winters are so unpredictable. It can be 20 degrees one day and 70 the next...It was 71 today. CRAZY! ah! i would KILL for a warm day right about now. i'm from souther california, so the snow is still new for me.